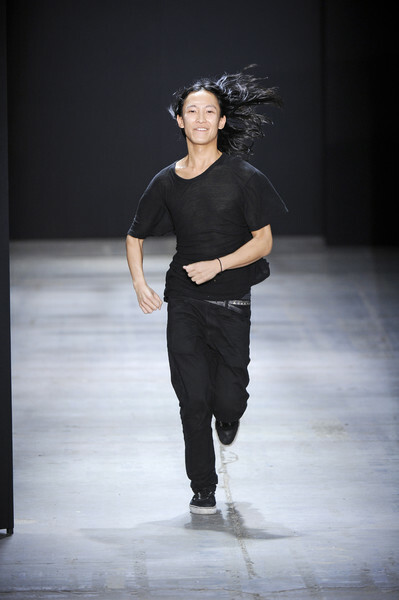 You can leave it to Alexander Wang to translate streetwear to high end fashion. 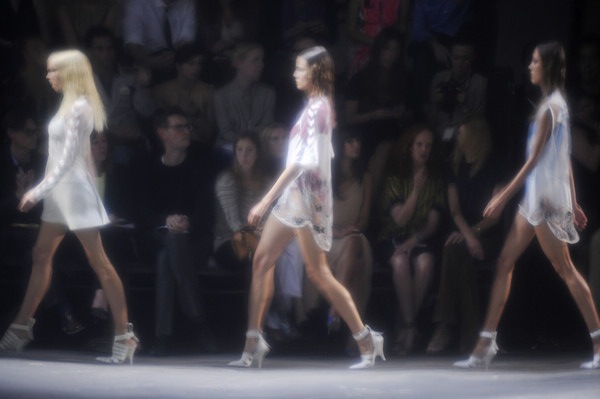 No one does it better than he, it’s original, fresh, dirty, gritty and yet still feminine. 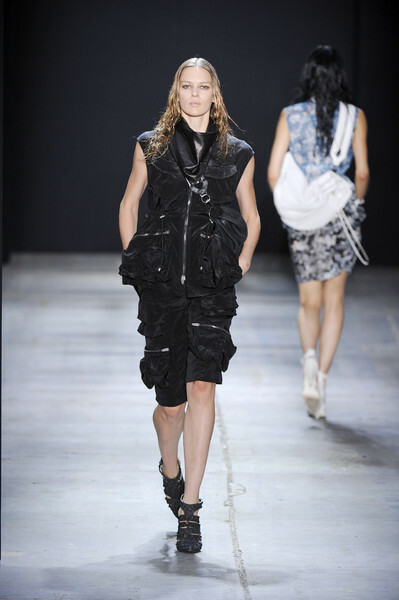 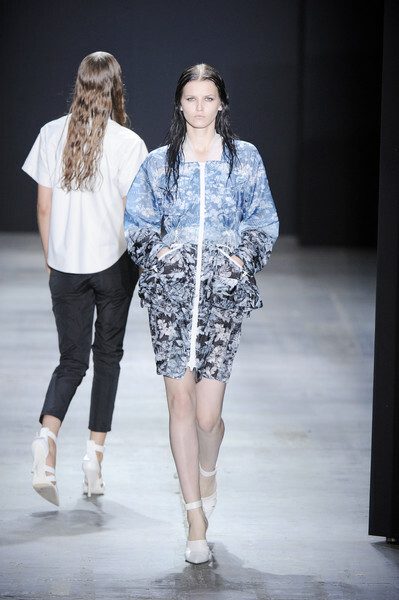 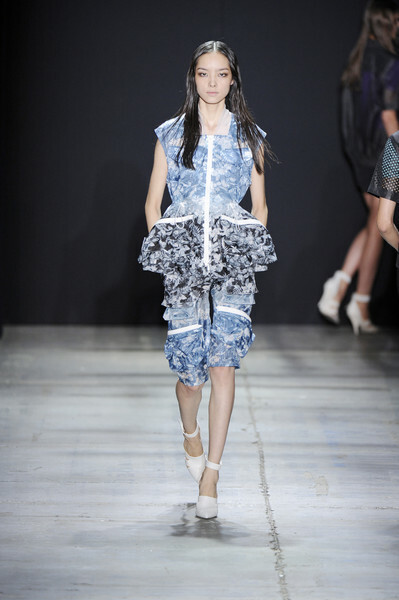 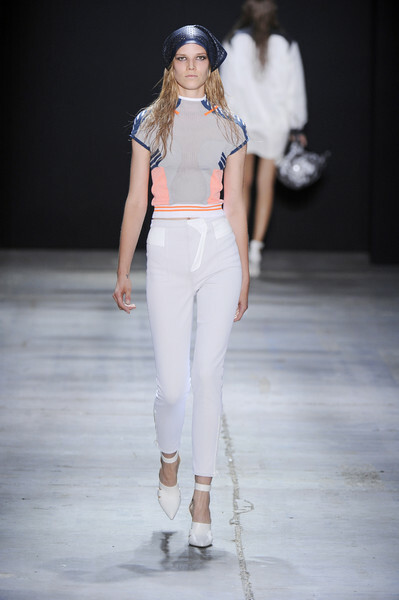 Wang has worked with athletic references before (athletic chic seems one of the early trends at New York fashion Week so far), and for his ss2012 Wang used motocross and BMX racing as his references. 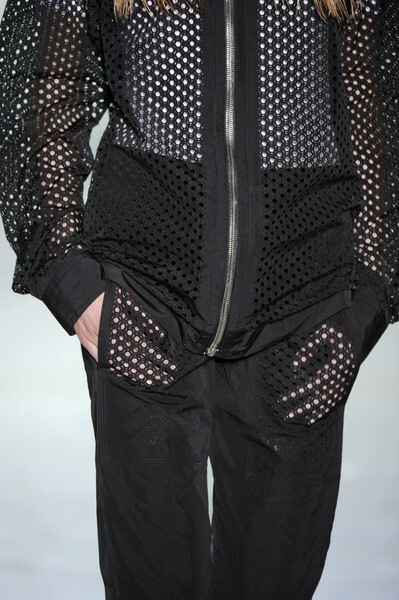 He opened with laser-cut mesh bombers, mini skirts and shorts, all black with a tight, neon polo peaking out. 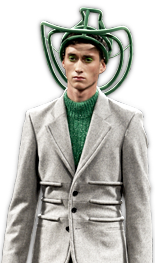 The models marched out with hands through the sheer pockets for a sporty Surrealist effect. 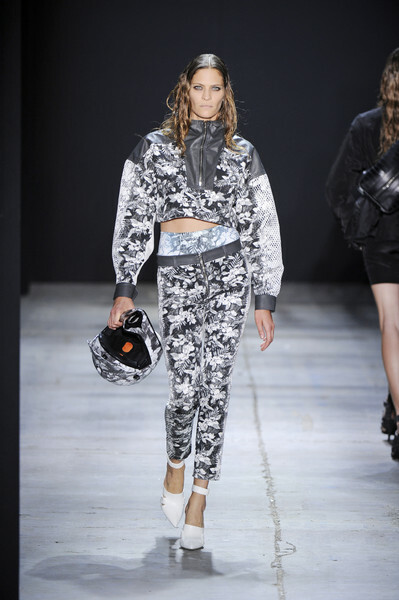 Then came ombré floral prints, blue and gray with a Hawaiian flavor, on utility gear (a dress with oversize zip pockets; cargo pants worn with a mesh bustier). 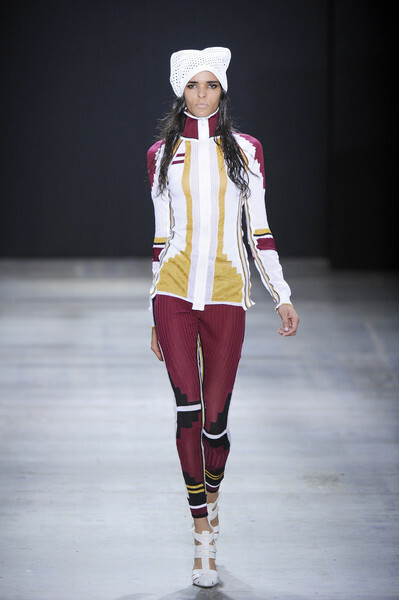 Leggings and track jackets looked like full racing suits with striped paneling and contrast color insets and they fitted like second skin. 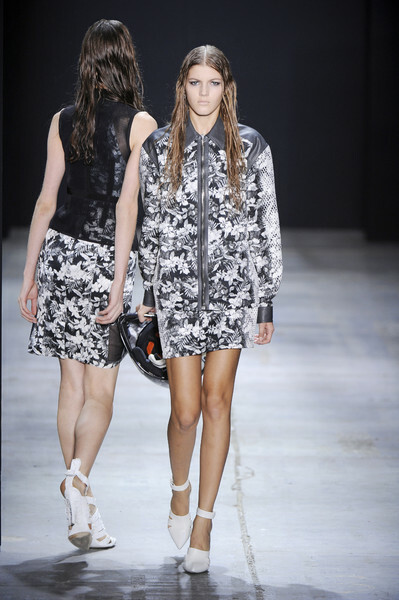 As for accessories, there were pointy pumps made from the exotic skins of tropical fish, floral bike helmets and cross-body bags that looked like golf club bags and weren’t much smaller.